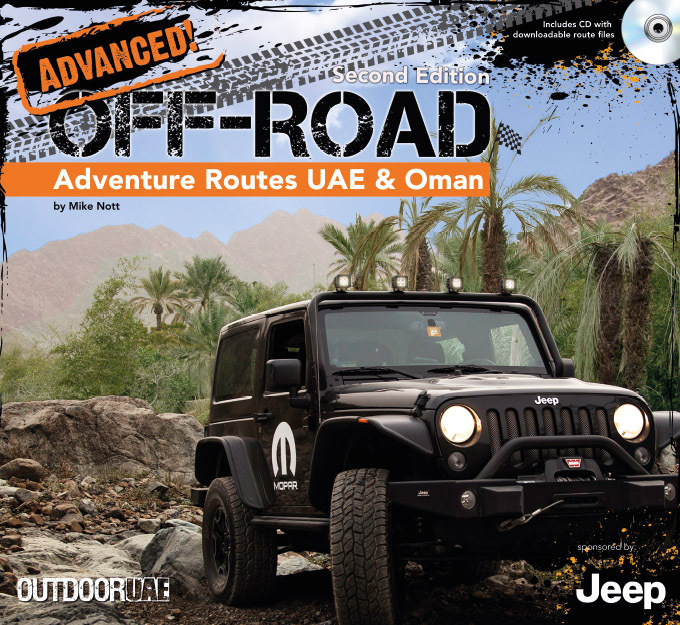 The Second Edition of Mike Nott’s Off-road Adventure Routes UAE & Oman is a further expansion of the initial book and provides a bird’s eye view of off-roading in both the UAE and Oman. The second edition comes with expert technical advice chapters for both novices and veterans as well as five additional routes and updates on eight original tracks for a total of 20 routes! This thorough examination of UAE and Omani off-roading comes at a competitive price of only 99 AED (29USD online price), other than that, it also comes with a CD that contains GPX route files which can then be uploaded on your personal GPS. Both convenient and informative – This is the ultimate guide for going offroad not only in the UAE and Oman but also across the Middle East. You can find the book in all good book shops in the UAE and other retailers or directly order it online – the book is avaiable on souq.com to ensure easy payment and quick delivery accross the region.